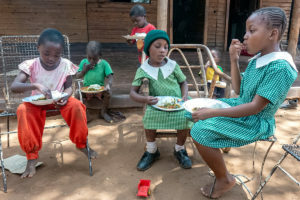 Katlin Jackson was just 26 when she went to Haiti two years ago to volunteer at Children of the Promise, an infant care center and orphanage in Cap Haitien. While at the orphanage, she formed a special bond with a 9-month-old boy named Sterly, whose parents could not afford shelter, food, and medical care for him. “The first time I picked up sweet Sterly, I knew he was the reason I was there,” she wrote in one of her first blog posts about her experiences in Haiti. Jackson spoke about her experience at a recent Half the Sky event in Seattle. 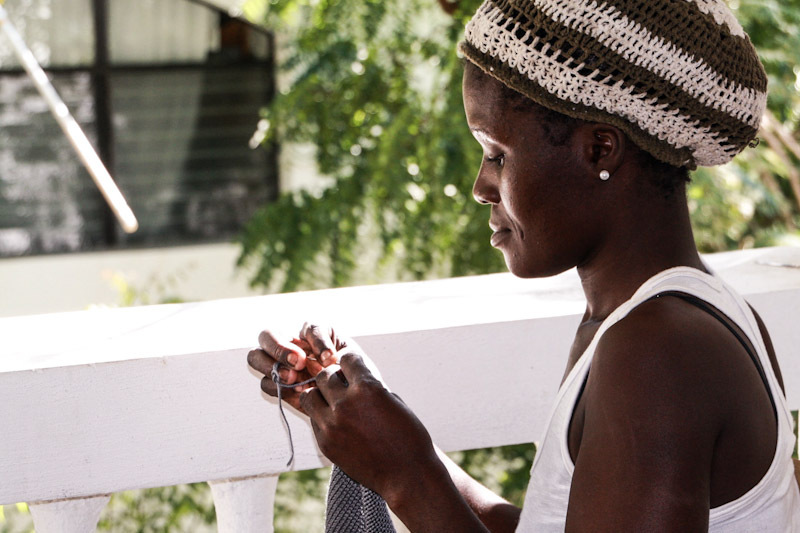 That visit to the orphanage inspired her to create Haiti Babi, a nonprofit that trains Haitian women to knit and crochet baby goods for sale in the US, in an effort to empower them to be able to support their families. 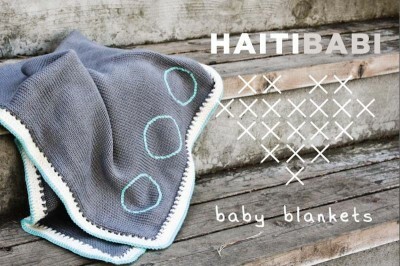 With the additional income, the Haiti Babi mothers can keep their kids out of orphanages. There are a lot of organizations that use microenterprise as a viable method to help people make a living selling all kinds of products. For example, Shanti Uganda provides women-centered health care and business skills training to HIV positive women to support themselves and their families. The women sew beautiful bags and craft beaded jewelry and are paid above fair trade prices. A local foundation in Edmonds, Fabric of Life, helps to fund a nonprofit in Bamako, Mali, which trains girls and women who beg to start their own businesses selling fabric products and jewelry. But Haiti Babi is unique because it was started by one woman with the help of an extensive, all-volunteer support network. Jackson, a tall, thin brunette who looks like she could be a model, was the youngest presenter at the Half the Sky event, which brought together “changemakers” from local nonprofits working to empower women and girls around the world. 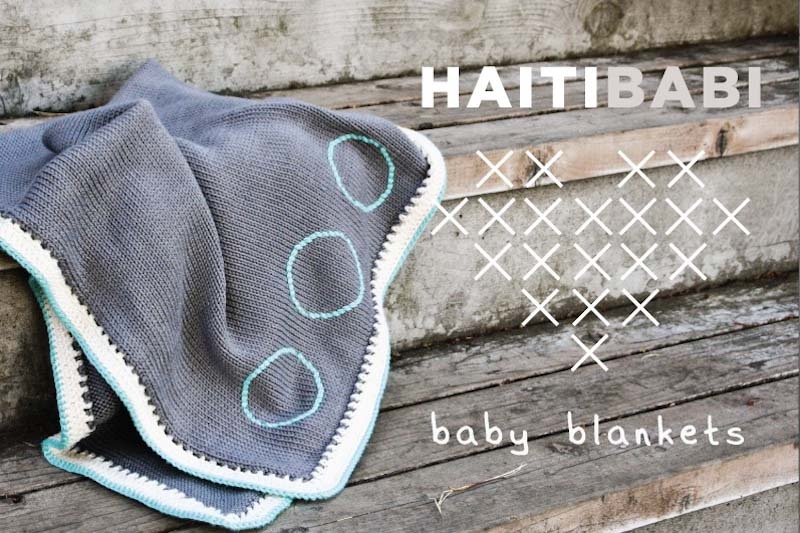 She spoke with quiet determination about her journey to create Haiti Babi. 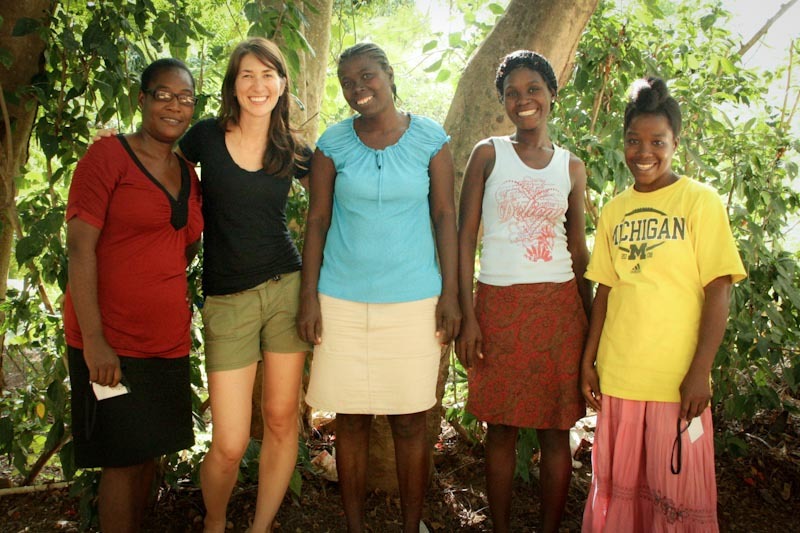 When Jackson’s time volunteering in Haiti came to an end, she went back to Seattle to continue her life as commercial real estate development advisor. But she became anxious and depressed, feeling like something was missing from her life. “After that trip to Haiti, everything changed for me,” she said. She had been profoundly affected by the poverty, disease, and heartbreak and yet buoyed by the joy, strength, and sense of community all around her. Jackson decided to return Haiti several months later. She discovered that Sterly, now a one-year-old, had been reunited with his family. She visited him in his home, which was essentially a small square building made of cement blocks. During the visit, she says that she realized that even though he had been well cared for at the orphanage, there was nothing more powerful and healing for a child than a family’s love. “I felt there had to be a way to provide people who did not have a formal education with a skill they can use to support themselves, perhaps with training,” she said. An idea began to form: why not create jobs for parents as a way to lift themselves out of poverty and keep their families together? 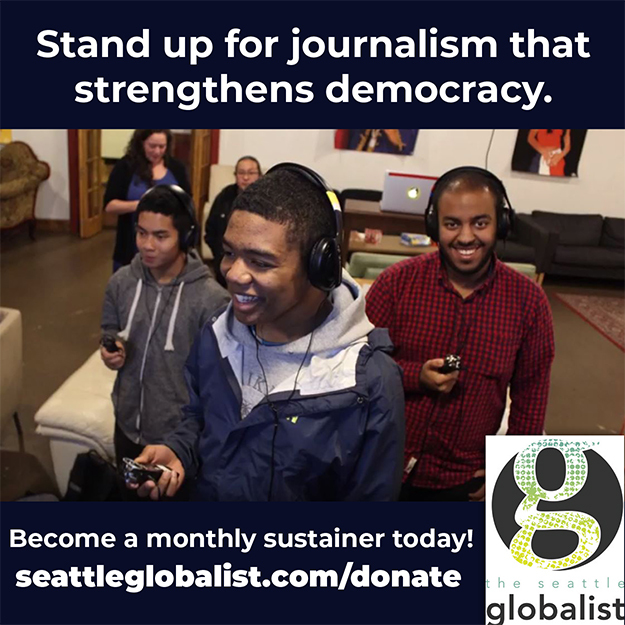 When Jackson returned home to Seattle, she devoted herself to helping these Haitian parents. 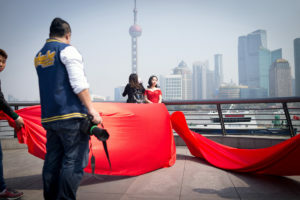 As she talked about her idea to friends, colleagues and family, she was surprised at the way people rallied to propel her vision into a tangible reality. 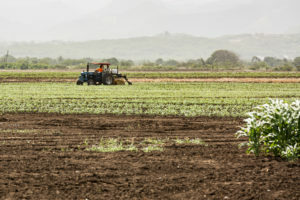 People were so enthusiastic to find out what economic development could do for Haitian parents. 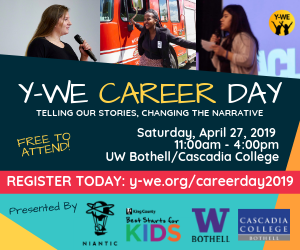 And as the idea spread, more and more hopped on the bandwagon, helping with branding, participating in product design and testing, teaching knitting and crocheting skills, and networking with other organizations to form partnerships. Jackson says it’s tough working in real estate by day and Haiti Babi nights and weekends, but it’s worth it because she feels she has found joy and meaning in her life. 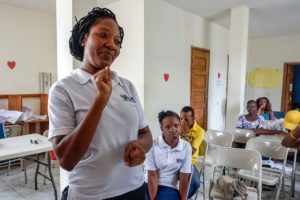 She tells the story of Hernise, one of the Haitian women she employs, who is a mother of three children and had to give up her daughter for adoption because she couldn’t afford to take care of her. “Now she has a sense of purpose and pride as a mother because she is actively doing something to make her family’s lives better,” Jackson said with a smile. So what makes it possible for a young person like Katlin Jackson to become a philanthropist? Is it an innate sense of compassion for the less fortunate? Exposure to the community service spirit early on in childhood? A combination of both? 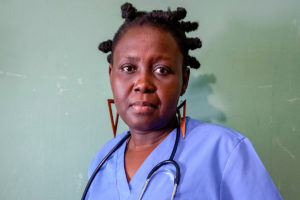 But for Jackson, starting Haiti Babi did not feel like an act of charity—she had found her passion for helping others and that represented the very essence of her. Tags: economy, Haiti, import goods, Queen Anne. Elizabeth Ralston is a writer with a public health background. She writes about topics on philanthropy, including profiles of inspiring people and organizations on her blog, The Inspired Philanthropist. 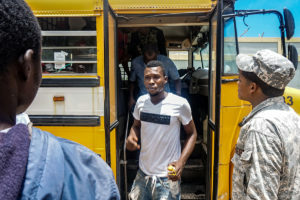 Aww it is a God send that I came across your article, I want to connect with you Katlin- would love to have you present at an event were hosting for mobile clinics in Haiti here in Portland OR in Nov 2013. Please email me. Keep letting your light shine young lady, it’s bright and beautiful May God Bless you richly ! !